Here they come! | EAT MY PLANTS! It’s still been pretty cold outside and I’ve not had enough free time to get into the gardens and beds. Despite the neglect, some of the flowers are taking care of themselves. 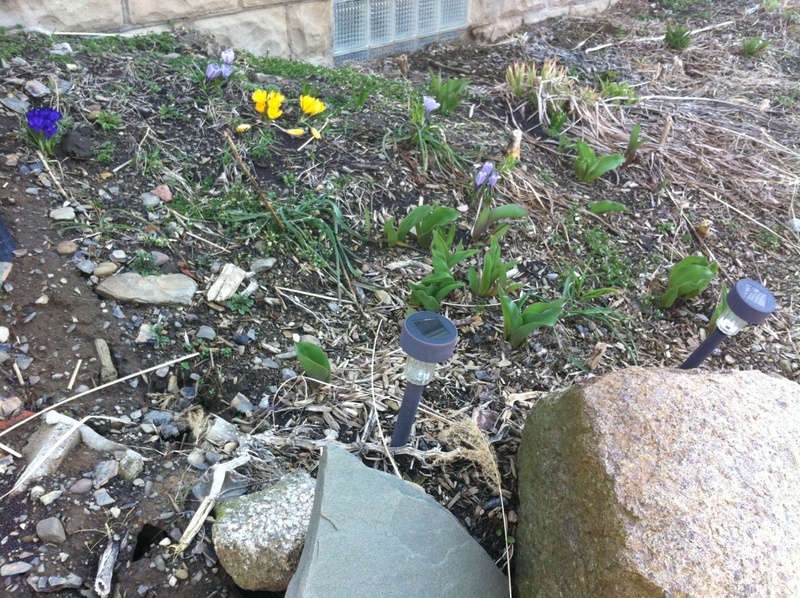 Pictured here are Crocus, Tulips, and Hyacinth. In the background are Iris and Daylily. 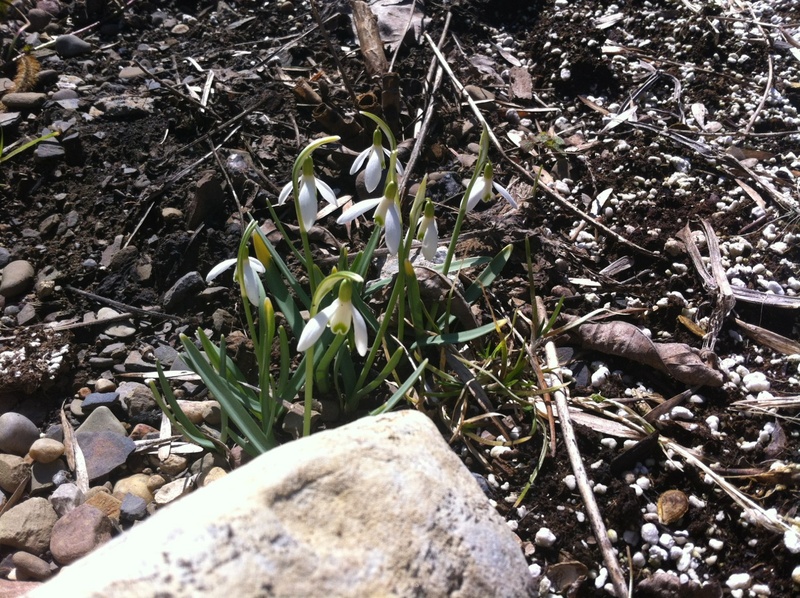 Normally the Snowdrops would be first to arrive. Not only are these the first season they’ve grown on their own, because last season I took clumps of them from my friend, Dave, but these are also on the shaded side of the house. Before Dave sold his house I went around and took samples of several plants I wanted. 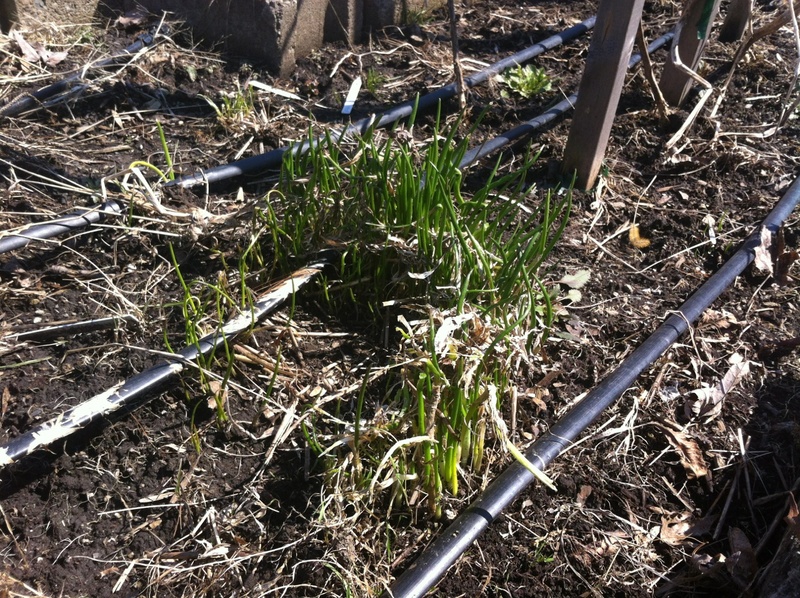 Though I’ve not gotten to the organic, garden beds yet, these Onion Chives don’t require any assistance. They seem to grow in any soil and under any condition. So easy. So tasty. 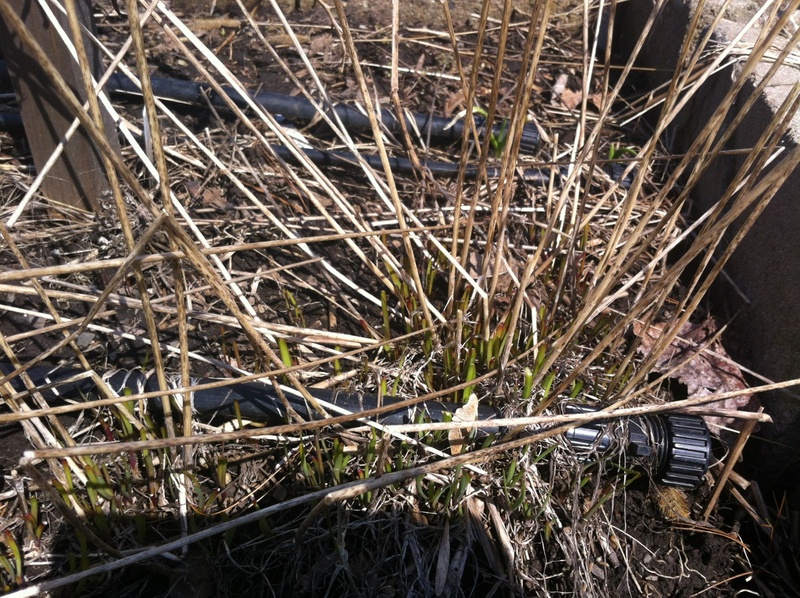 Here are the Garlic Chive I sampled from Jason’s garden and planted early last season. They’re smaller than the Onion Chives and only slightly different in taste. I think this season I might break down and dress the beds with equine manure that’s been cured for a few years. I can get it for free and as much as I want. If I had the time, I’d likely stick with green manure. Because my production life has been so demanding, I will likely fortify the beds with the manure. I have to do it this weekend if I’m going to do it, though. By the way, the Strawberries I planted last season and the deer ravished have made a come back. I’ll get some pics for the next post.